If you're here then I'm sure you are looking for a GOOGLE MAPS scraper or want valid business leads from a reliable source, right? If you are targeting a large region like a state or country than Gmap will provide limited data. For better result please send me a small area like (town/city/county/zip code). Because If you search in small regions, Gmaps will show all the results. Emails are not listed on google maps, but it's possible to get an email address related to the listed businesses. But e-mail will not be available for each entry. If e-mail is must need for you then please contact so that we can make a deal for that. 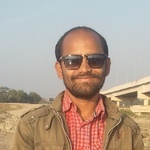 I am SEO manager working with a great view and very expert in SMM. Hey, Thank you for taking time to view my profile. I have a strong work ethic and integrity. I want to work on a...Read moreI am SEO manager working with a great view and very expert in SMM.